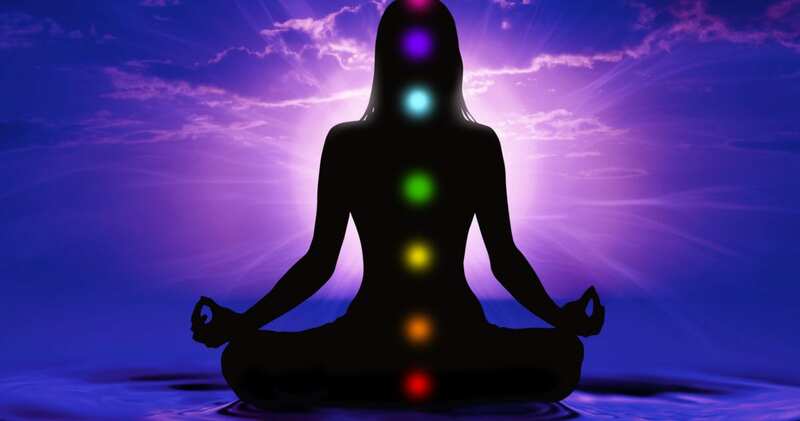 Each of the seven chakras carries a specific meaning and colour, and in this article, we will walk you through the significance of all the seven chakras, their colours, and the areas of our health and life these chakras tend to influence. In Sanskrit, the Root Chakra is known as the Mooladhara Chakra; this root defines our relationship with Mother Earth. It influences our passion, creativity, youthfulness, vitality and most importantly, our basic survival instincts. The Root Chakra is represented by the colour red, which is also an indication for the need of logic, realistic thinking and order in our lives. Moreover, it is also symbolic of our physical strength, our sexuality and the flight and fight response that tends to activate within our body when we sense danger. The Root Chakra is connected with the sense of smell within the body, and it is attached to the gland known as Gonads. The Sacral Chakra, or the Swadhisthana Chakra, is symbolic of the water elements present within the human body. It is represented by the colour orange, which tends to impact our ability to be happy and joyful, compassionate, creative and passionate. It also influences our desires, sexuality and our reproductive functions amongst others. Within the human body, the Sacral Chakra is connected with our sense of taste, and it impacts several organs and glands, including the bladder, the lymphatic system, pelvis, the large intestine and the female reproductive organs. The Solar Plexus Chakra, known as the Manipura Chakra in Sanskrit, is roughly translated to ‘City of Jewels’ and it is regarded as one of the most powerful chakras that has profound influences on our personal power. The Solar Plexus chakra represents our personal abilities and powers, and it influences both our personal and professional success. This chakra is represented by the colour yellow, which symbolises this energy vortex and its connection with energy, fire, and charge amongst other powerful emotions. When this fiery and powerful element is present in a harmonious balance, it allows us to be much more energetic, active, confident and forthcoming with a cheerful disposition that allows us to respect ourselves and others. The Solar Plexus chakra is connected with our sense of sight, and it is connected with the adrenal glands. The Heart Chakra, also known as the Anahata Chakra, is associated with the element of air within the body, and it has the most profound influence on our professional and personal relationships. This chakra is denoted by the colour green, and if the heart chakra is weak and fragile, it can ruin our relationships with negative emotions, such as jealousy, envy, anger, distrust and wrath. The Heart Chakra impacts our sense of touch, and it is connected to several glands, including the lymph and thymus glands. Much like the name suggests, the Vishuddhi Chakra or Throat Chakra symbolises our true inner voice, and our ability to communicate with others. It is represented by the colour blue, and it is associated with our abilities to listen, empathise and communicate with others. The extremely delicate and graceful element of the Throat chakra, when it is in a harmonious balance, allows human beings to enjoy a beautiful voice, artistic potential, creative ways of expression, and the ability to reach a higher spiritual abode with an acute sense of spiritual awareness. The Throat Chakra is connected to several organs and glands, including the throat, jaws, neck vertebrae, thyroid, teeth, ears, oesophagus and the ears. Human beings that have a balanced Throat Chakra have powerful artistic potential, along with the ability to meditate freely and utilise their energy effectively. The Brow/Third Eye Chakra, also known as the Ajna Chakra, roughly translates to ‘the centre of knowledge or monitoring’. It is symbolised by the colour indigo, and is associated with our sense of thought, our ability to rationalise, use logic and conduct an analysis to reach reasonable conclusions. Individuals who have a harmoniously balanced Third Eye Chakra have a very charming and charismatic mind, they do not fear death or troubles, and their also have powerful telepathic abilities. This Chakra is connected with various glands, particularly the pituitary and pineal gland. Our sense of thought is associated with the indigo colour of this chakra, along with the elements of telepathic communication and electricity. The Crown Chakra, known as the Sahasrara Chakra in Sanskrit, is connected with the element of light, and it is associated with several organs and glands within the body, including the brain, the hand, the nervous system and the pituitary gland. When this chakra is harmoniously balanced, it can provide individuals with some extremely powerful abilities and potentials, including the ability to transcend all barriers created by the laws of nature, to possess an increased awareness of death and immortality, heightened spiritual powers and even the ability to create miracles. Being fully aware of all the seven chakras, their respective colours and the organs they impact will help you notice the improvements you can bring in your body through all the various methods of awakening and fortifying these chakras. You can easily create a harmonious balance within your life by influencing your seven chakras to stay mentally, emotionally and physically healthy, along with channelling improvements in your personal and professional lives.